These are tools for the most delicate of crafts! 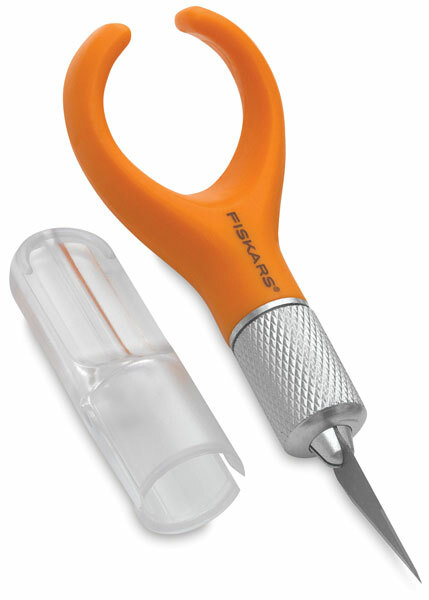 Fingertip Craft Knife — Use your hand's natural motion and weight to make cutting easier. Just loop the craft knife over your index finger for a more controlled cutting experience. Each knife includes one blade and a safety cap. This knife uses standard #11 blades.